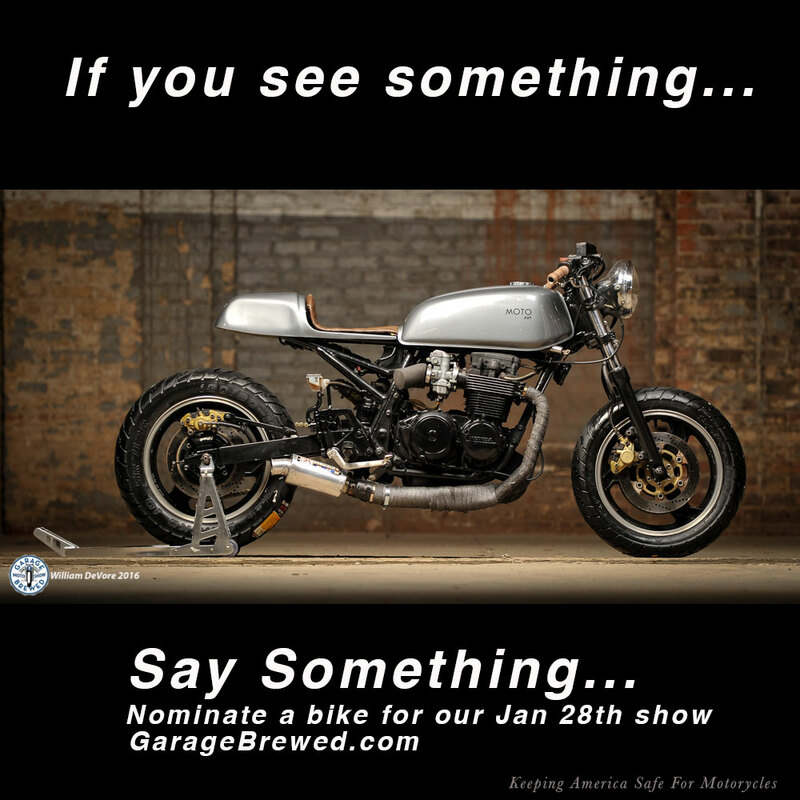 All of you Cincinnati guys should already know about the Garage Brewed Moto show at Rhinegeist Brewery in downtown Cincinnati's historic brewery district. If not, visit http://garagebrewed.com/ and check out the video and photos. This Jan. 28th will be our third year. If you know of any good bikes for the show, we'd love to have you nominate a bike or builder. We have the following classes: Classic, Race, Pro Custom and Garage Custom (non pro, average joe) as well as People's choice award. So we've had everything from restored 1939 Indians, rat bikes, choppers, cafe /brats, Vincent black shadows, 1929 Harley board track racers, land speed record BMWs, the odd, the weird and the damn cool. Its pretty eclectic but not your typical show. Held inside of a working brewery, the Rhinegeist brewery in Cincy is a very cool venue steeped in brewing heritage and a great indoor venue in the middle of winter. So I ask you, do you know of some cool bikes for the show? Very cool, and awesome brewery!